I am incredibly excited to announce that I will be giving one of the famous 14-minute TED talks at the TED Global meeting in Edinburgh this June. The theme of the TED Global meeting this year is “Radical Openness,” and the program reflects the eclecticism of that idea. I will be leading off Session 10, titled “Reframing,” which also features an artist (and President of the Rhode Island School of Design), a “computational architect,” a “femtophotographer” (photographs light), a musician, and a behavioral economist! The organizers have put together a fabulous group—I am eager to learn from each and every speaker, and am thrilled to be able to share with the 900 attendees my story about the men who helped invent the modern scientist. I’ll have more to say about TED Global and my preparations for it in the coming weeks. https://i0.wp.com/laurajsnyder.com/wp-content/uploads/2014/09/TED.80x80.png?fit=80%2C80 80 80 Laura J. Snyder http://laurajsnyder.com/wp-content/uploads/2019/04/Laura-J.-Snyder.2074x340.png Laura J. Snyder2012-05-08 15:14:452014-09-21 23:25:26The Philosophical Breakfast Club at TED Global This June!!! 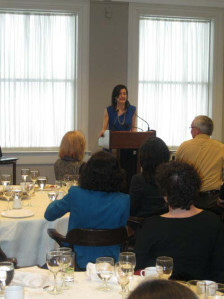 I had such a fun time at the “Food for Thought” lunch at the Century Club on Thursday! 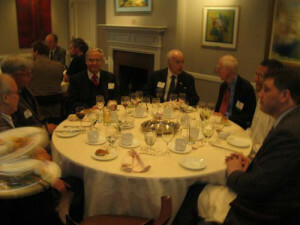 The group of Cambridge alumni and their guests were so receptive to my story about another group of Cambridge alumni. The book seller at the event even ran out of copies of The Philosophical Breakfast Club!
. 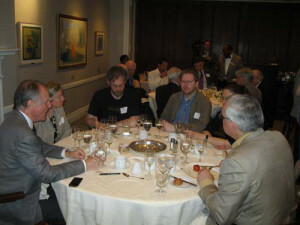 . . photos from my Cambridge in America event at the Century Club, possibly the video as well, and a really, really exciting announcement! 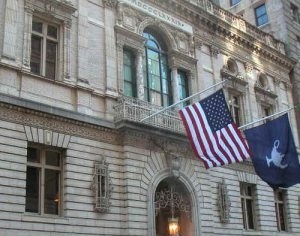 I am looking forward to tomorrow’s “Food For Thought” luncheon and talk at the Century Association in New York City, sponsored by Cambridge in America. 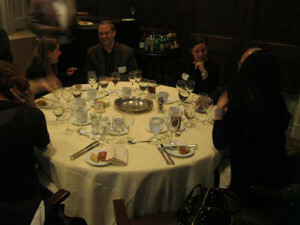 There is still time for Cambridge University alumni and guests to register at www.cantab.org! For more information, and to register, see here. 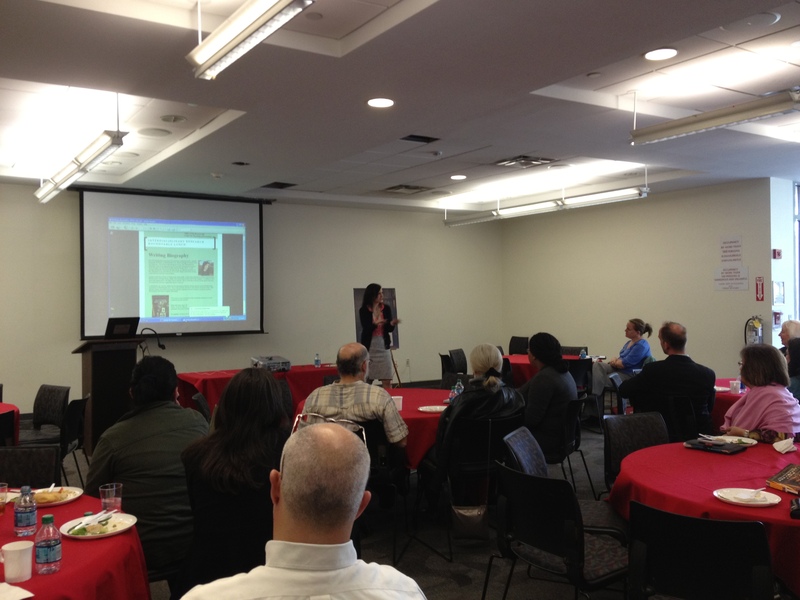 I had a fabulous time yesterday at the Writing Biography Luncheon held on the campus of St. John’s University. 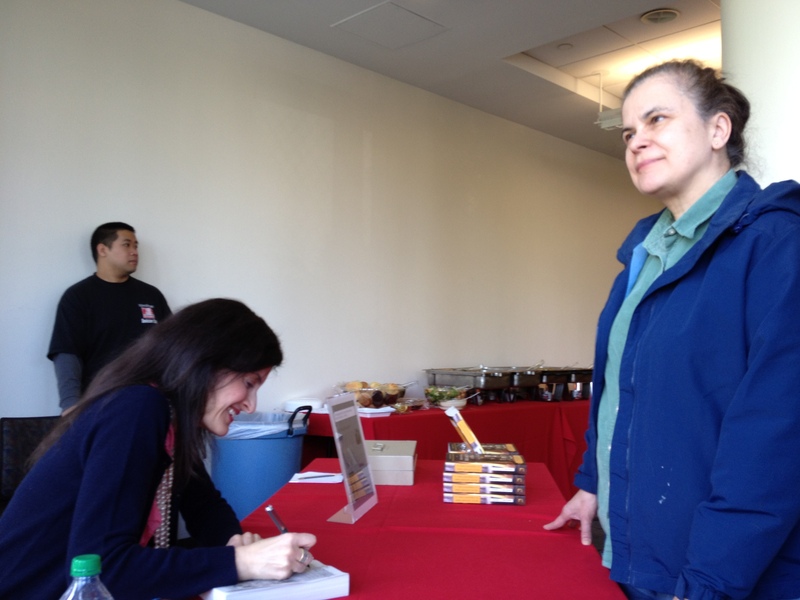 The crowd was large and lively, the food was good, and I signed lots of copies of The Philosophical Breakfast Club! 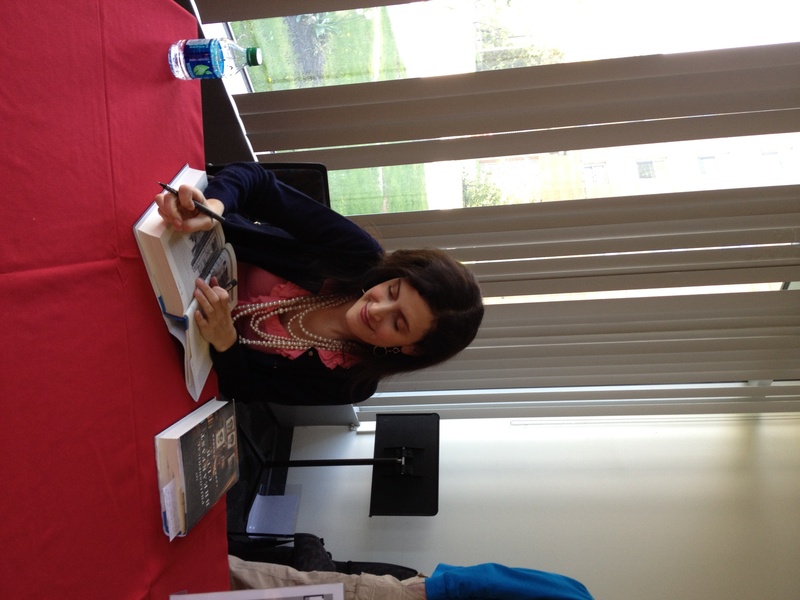 More books to sign afterwards! 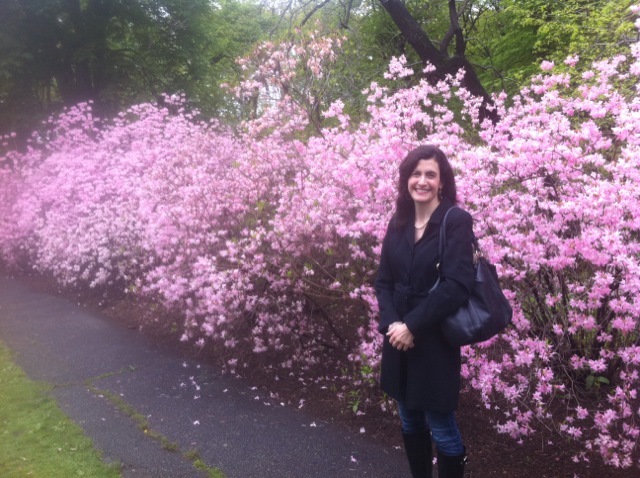 I’m looking forward to my event next week at St. John’s University. I will be discussing the challenges of writing biography—especially four intertwined biographies of men who each lived rich and productive lives!—as well as the joys of living “with” such fascinating people for so many years. 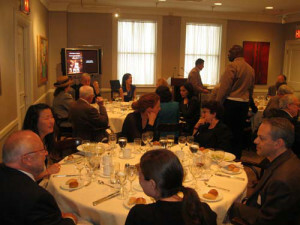 The event, on Monday, April 30 from 12:15–1:40, will be held on the campus of St. John’s University in Queens, New York, and is free and open to the public. Lunch will also be served. For more information, or to register, email CTL@stjohns.edu or call 718-990-1859. See the announcement of the talk here. I am looking forward to my visit to the Arboretum, and would love to see friends and fans of The Philosophical Breakfast Club there. The Cambridge in America group has put a nice announcement of my May 3rd “Food for Thought” luncheon on their website (it’s the second screen that appears after you get onto the site; or you can click here for the direct link). I’m very excited about the opportunity to meet fellow Cambridge alumni and their guests over lunch! And I’m very pleased that we will be meeting in the Century Association, a London-style club founded in 1847 by William Cullen Bryant which was intended for “Artists, Literary Men, Scientists, Physicians, Officers of the Army and Navy, members of the Bench and Bar, Engineers, Clergymen, Representatives of the Press, Merchants and men of leisure.” (The club finally began to admit women members in 1989.) So it will be an occasion to chat about The Philosophical Breakfast Club in an actual club! I look forward to seeing friends and fans of the book on May 3rd. I’d like to remind everyone of an upcoming event: A Writing Biography Luncheon, at which I will be talking about the challenges—and the joys—of writing The Philosophical Breakfast Club. This will be held on Monday, April 30th at St. John’s University in Queens, New York at 12:15pm. The event is free and open to the public (and lunch will be served!). To register, and get directions to the event, please email CTL@stjohns.edu or call (718)990-1859. For more information, see the poster below. I am also sorry to announce that the lecture scheduled for Thursday, April 19th at the Brookhaven National Labs has been postponed, new date TBA. I invite all Long Island fans of The Philosophical Breakfast Club to join me in Queens on the 30th instead!